If you’re shopping for a used luxury car near Barrington, but want to stay on budget, take a look our our inventory of used cars under $30K. There are a variety of vehicles to choose from, so you’re sure to find a vehicle that works at a price you love. Bright Red Clearcoat Ford F-150 XLT 2001 F-150 XLT, 2D Standard Cab, 5-Speed Manual with Overdrive, RWD, Bright Red Clearcoat, Dark Graphite w/40/60 Unique Cloth Split Bench Seat, 4-Wheel ABS/4-Wheel Disc Brakes, ABS brakes, Alloy wheels, Compass, Illuminated entry, Remote Keyless Entry, Remote keyless entry. This unit is on our "PRE-AUCTION" Wholesale Lot. Vehicle HAS NOT been inspected and will soon go to DEALER ONLY AUCTION. BUY NOW FOR WHOLESALE. This vehicle available for sale on AS IS/NO WARRANTY basis ONLY! ****CALL RAYNE HOWARD DIRECT AT 574-383-0085 **** CALL TODAY- (574) 970-5225 OR STOP IN FOR A TEST DRIVE. Zeigler Ford 2525 Bypass Rd. 46514. Odometer is 10506 miles below market average! Recent Arrival! 2003 Ford Focus SE Red Odometer is 16359 miles below market average! 27/36 City/Highway MPG Some of our used vehicles may be subject to unrepaired safety recalls. Check for a vehicle's unrepaired recalls by VIN at http://vinrcl.safercar.gov/vin/. We accept all offers and approve most! Call us today to schedule your test drive! Tax, Title, Licensing, and Fees not included. Appointments are highly recommended 847-230-4209. see dealer for details. please keep in mind our inventory changes daily. Red Line Cadillac CTS 2005 LEATHER, POWER DRIVER SEAT, 4D Sedan, 3.6L V6 VVT, RWD, Red Line, Light Neutral w/Full Leather Seating. This unit is on our "PRE-AUCTION" Wholesale Lot. Vehicle HAS NOT been inspected and will soon go to DEALER ONLY AUCTION. BUY NOW FOR WHOLESALE. This vehicle available for sale on AS IS/NO WARRANTY basis ONLY! ****CALL RAYNE HOWARD DIRECT AT 574-383-0085 **** CALL TODAY- (574) 970-5225 OR STOP IN FOR A TEST DRIVE. Zeigler Ford 2525 Bypass Rd. 46514. Priced below KBB Fair Purchase Price! 1SB 18/27 City/Highway MPG At Zeigler Ford Lincoln of Elkhart, Home of the BEST PRICE GUARANTEE & GUARANTEED FINANCING, we take pride in treating our customers like family, ensuring that your experience is one that you will NEVER forget. Every vehicle has been through a 172-point safety inspection completed by a certified technician and fully detailed. Pre-Owned Ford Vehicles 2018-2017-2016-2015-2014-2013-2012-2011-2010-2009-2008-2007-2006 Ford Escapes, Fusions, Focus, Edges, Flex, F- Series, Heavy Duty Diesel Trucks and more For sale. Take advantage of our VIP internet experience by calling 574-970-5225 to schedule a test drive. Read our customer reviews at www.zeiglerfordelkhart.com/reviews or visit us on the web at www.zford.com, or stop by today, located at 2525 Bypass Rd. Elkhart, IN 46514. We are proud to service customers saving YOU time & money on ANY New or Pre-owned vehicle! Credit Union Financing, Special LOW Interest Rates. Poor Credit, No Credit, FIRST TIME BUYERS!! Past Bancrupcy... We Finance ALL!! See dealer for complete details, dealer is not responsible for pricing errors, all prices, plus tax, title, plate, and doc fees. Serving Michigan and all of our surrounding cities like Goshen, South Bend, Granger, Osceola, Mishawaka, Warsaw, Plymouth, Niles, Union, Edwardsburg, Bristol, Shipshewana, & including the entire Michiana area, and anywhere in the great state of Indiana. Some of our used vehicles may be subject to unrepaired safety recalls. Check for a vehicle's unrepaired recalls by VIN at http://vinrcl.safercar.gov/vin/. Zeigler Ford- FOR A GREAT EXPERIENCE. Dark Silver Metallic Chevrolet Impala LS 2007 POWER DRIVER SEAT, Impala LS, 4D Sedan, 3.5L V6 SFI, 4-Speed Automatic with Overdrive, FWD, Gray w/Cloth Seat Trim, 16" Steel Wheels w/Deluxe Bolt-On Covers, 40/40 Front Bucket Seats, 6 Speakers, Air Conditioning, AM/FM radio, AM/FM Stereo w/CD Player/Seek & Scan, Bodyside moldings, Bumpers: body-color, CD player, Cloth Seat Trim, Delay-off headlights, Front Bucket Seats, Front Center Armrest, Fully automatic headlights, Power door mirrors, Power driver seat, Power windows, Rear window defroster, Remote keyless entry, Speed control, Tilt steering wheel. ****CALL DAN TARWACKI DIRECT AT 574-876-4146 **** CALL TODAY- (574) 970-5225 OR STOP IN FOR A TEST DRIVE. Zeigler Ford 2525 Bypass Rd. 46514. Odometer is 15632 miles below market average! Priced below KBB Fair Purchase Price! 20/29 City/Highway MPG Reviews: * If you're in search of a big, roomy sedan that won't break the bank, the newly refined Impala will thoroughly meet your needs and probably exceed your expectations. Also, the SS model makes a good quasi-muscle car for those who require the all-weather advantages of front-wheel drive. Source: KBB.com At Zeigler Ford Lincoln of Elkhart, Home of the BEST PRICE GUARANTEE & GUARANTEED FINANCING, we take pride in treating our customers like family, ensuring that your experience is one that you will NEVER forget. Every vehicle has been through a 172-point safety inspection completed by a certified technician and fully detailed. Pre-Owned Ford Vehicles 2018-2017-2016-2015-2014-2013-2012-2011-2010-2009-2008-2007-2006 Ford Escapes, Fusions, Focus, Edges, Flex, F- Series, Heavy Duty Diesel Trucks and more For sale. Take advantage of our VIP internet experience by calling 574-970-5225 to schedule a test drive. Read our customer reviews at www.zeiglerfordelkhart.com/reviews or visit us on the web at www.zford.com, or stop by today, located at 2525 Bypass Rd. Elkhart, IN 46514. We are proud to service customers saving YOU time & money on ANY New or Pre-owned vehicle! Credit Union Financing, Special LOW Interest Rates. Poor Credit, No Credit, FIRST TIME BUYERS!! Past Bancrupcy... We Finance ALL!! See dealer for complete details, dealer is not responsible for pricing errors, all prices, plus tax, title, plate, and doc fees. Serving Michigan and all of our surrounding cities like Goshen, South Bend, Granger, Osceola, Mishawaka, Warsaw, Plymouth, Niles, Union, Edwardsburg, Bristol, Shipshewana, & including the entire Michiana area, and anywhere in the great state of Indiana. Some of our used vehicles may be subject to unrepaired safety recalls. Check for a vehicle's unrepaired recalls by VIN at http://vinrcl.safercar.gov/vin/. Zeigler Ford- FOR A GREAT EXPERIENCE. 2004 Subaru Outback 2.5 Titanium Pearl 5-Speed Manual with Overdrive AWD 2.5L Phase II BMW of Orland Park is part of the Zeigler Auto Group. Recent Arrival! 21/27 City/Highway MPG We use a sophisticated algorithm to price our vehicles competitively online. We use software that scans VIN numbers with similar equipment for sale online across the entire USA. This gives us instant data to price our cars as competitively as possible to ensure our customers are getting the best deal and value for our price. Buy from Zeigler with confidence and get a great deal and excellent price. We price our vehicles extremely aggressive to the market place to eliminate long negotiations and give our customers a great experience. We have one of the best selections of New, Certified and Pre-Owned BMW’s in the Chicagoland area, plus a great selection of Pre-Owned vehicles for the whole family. Contact one of our BMW Certified Client Advisors at 708-460-4545 or Toll-Free at 866-460-4545 for further details and vehicle availability. We have over 70 new BMW courtesy vehicles available for our service customers, just ask when your make your appointment. We also offer local Courtesy Pick-up and Delivery for service customers. Enjoy the Experience at BMW of Orland Park. Recent Arrival! Classic White Clearcoat Mazda Tribute LX 2004 MOONROOF, Tribute LX, 4D Sport Utility, 3.0L V6 SMPI DOHC, AWD, Classic White Clearcoat, Medium Pebble w/Cloth Seat Trim. ****CALL DAN TARWACKI DIRECT AT 574-876-4146 **** CALL TODAY- (574) 970-5225 OR STOP IN FOR A TEST DRIVE. Zeigler Ford 2525 Bypass Rd. 46514. Odometer is 18435 miles below market average! 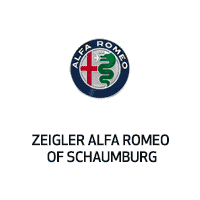 At Zeigler Ford Lincoln of Elkhart, Home of the BEST PRICE GUARANTEE & GUARANTEED FINANCING, we take pride in treating our customers like family, ensuring that your experience is one that you will NEVER forget. Every vehicle has been through a 172-point safety inspection completed by a certified technician and fully detailed. Pre-Owned Ford Vehicles 2018-2017-2016-2015-2014-2013-2012-2011-2010-2009-2008-2007-2006 Ford Escapes, Fusions, Focus, Edges, Flex, F- Series, Heavy Duty Diesel Trucks and more For sale. Take advantage of our VIP internet experience by calling 574-970-5225 to schedule a test drive. Read our customer reviews at www.zeiglerfordelkhart.com/reviews or visit us on the web at www.zford.com, or stop by today, located at 2525 Bypass Rd. Elkhart, IN 46514. We are proud to service customers saving YOU time & money on ANY New or Pre-owned vehicle! Credit Union Financing, Special LOW Interest Rates. Poor Credit, No Credit, FIRST TIME BUYERS!! Past Bancrupcy... We Finance ALL!! See dealer for complete details, dealer is not responsible for pricing errors, all prices, plus tax, title, plate, and doc fees. Serving Michigan and all of our surrounding cities like Goshen, South Bend, Granger, Osceola, Mishawaka, Warsaw, Plymouth, Niles, Union, Edwardsburg, Bristol, Shipshewana, & including the entire Michiana area, and anywhere in the great state of Indiana. Some of our used vehicles may be subject to unrepaired safety recalls. Check for a vehicle's unrepaired recalls by VIN at http://vinrcl.safercar.gov/vin/. Zeigler Ford- FOR A GREAT EXPERIENCE. Recent Arrival! Silver Steel Metallic Clearcoat Chrysler Sebring Touring 2010 ****CALL DAN TARWACKI DIRECT AT 574-876-4146 **** CALL TODAY- (574) 970-5225 OR STOP IN FOR A TEST DRIVE. Zeigler Ford 2525 Bypass Rd. 46514. 21/30 City/Highway MPG Reviews: * If you like the balanced nature of a mid-size sedan but want or need some of the standard in-cabin goodies traditionally optional on other makes, the Sebring might be just the car for which you've been waiting. Unique styling also sets the Sebring apart from the crowd. Source: KBB.com * The 2010 Chrysler Sebring Convertible can be customized just about anyone's lifestyle, offering four-cylinder or V6 engines, a variety of audio and entertainment choices, and the option of a hard top. Source: KBB.com At Zeigler Ford Lincoln of Elkhart, Home of the BEST PRICE GUARANTEE & GUARANTEED FINANCING, we take pride in treating our customers like family, ensuring that your experience is one that you will NEVER forget. Every vehicle has been through a 172-point safety inspection completed by a certified technician and fully detailed. Pre-Owned Ford Vehicles 2018-2017-2016-2015-2014-2013-2012-2011-2010-2009-2008-2007-2006 Ford Escapes, Fusions, Focus, Edges, Flex, F- Series, Heavy Duty Diesel Trucks and more For sale. Take advantage of our VIP internet experience by calling 574-970-5225 to schedule a test drive. Read our customer reviews at www.zeiglerfordelkhart.com/reviews or visit us on the web at www.zford.com, or stop by today, located at 2525 Bypass Rd. Elkhart, IN 46514. We are proud to service customers saving YOU time & money on ANY New or Pre-owned vehicle! Credit Union Financing, Special LOW Interest Rates. Poor Credit, No Credit, FIRST TIME BUYERS!! Past Bancrupcy... We Finance ALL!! See dealer for complete details, dealer is not responsible for pricing errors, all prices, plus tax, title, plate, and doc fees. Serving Michigan and all of our surrounding cities like Goshen, South Bend, Granger, Osceola, Mishawaka, Warsaw, Plymouth, Niles, Union, Edwardsburg, Bristol, Shipshewana, & including the entire Michiana area, and anywhere in the great state of Indiana. Some of our used vehicles may be subject to unrepaired safety recalls. Check for a vehicle's unrepaired recalls by VIN at http://vinrcl.safercar.gov/vin/. Zeigler Ford- FOR A GREAT EXPERIENCE. Recent Arrival! Tan Ford Crown Victoria 1996 4.6L Natural Gas, Heated door mirrors. This unit is on our "PRE-AUCTION" Wholesale Lot. Vehicle HAS NOT been inspected and will soon go to DEALER ONLY AUCTION. BUY NOW FOR WHOLESALE. This vehicle available for sale on AS IS/NO WARRANTY basis ONLY! ****CALL RAYNE HOWARD DIRECT AT 574-383-0085 **** CALL TODAY- (574) 970-5225 OR STOP IN FOR A TEST DRIVE. Zeigler Ford 2525 Bypass Rd. 46514. Odometer is 13335 miles below market average! Bright Red Clearcoat Ford F-150 XLT 2000 5.4L V8 EFI, 4WD, ABS brakes, Compass, Fog Lamps. This unit is on our "PRE-AUCTION" Wholesale Lot. Vehicle HAS NOT been inspected and will soon go to DEALER ONLY AUCTION. BUY NOW FOR WHOLESALE. This vehicle available for sale on AS IS/NO WARRANTY basis ONLY! ****CALL RAYNE HOWARD DIRECT AT 574-383-0085 **** CALL TODAY- (574) 970-5225 OR STOP IN FOR A TEST DRIVE. Zeigler Ford 2525 Bypass Rd. 46514. Priced below KBB Fair Purchase Price! Whether you’re looking for a used Alfa Romeo or another make, our goal is to make your used-car buying experience as low stress as possible. You can consider trading in your vehicle when you’re ready to buy your next used car, and our sales team will be happy to show you your options in person in Schaumburg. Contact us with questions or to set up your visit.